The thrilling history of the Targaryens comes to life in this masterly work by the author of A Song of Ice and Fire, the inspiration for HBO’s Game of Thrones. Centuries before the events of A Game of Thrones, House Targaryen—the only family of dragonlords to survive the Doom of Valyria—took up residence on Dragonstone. 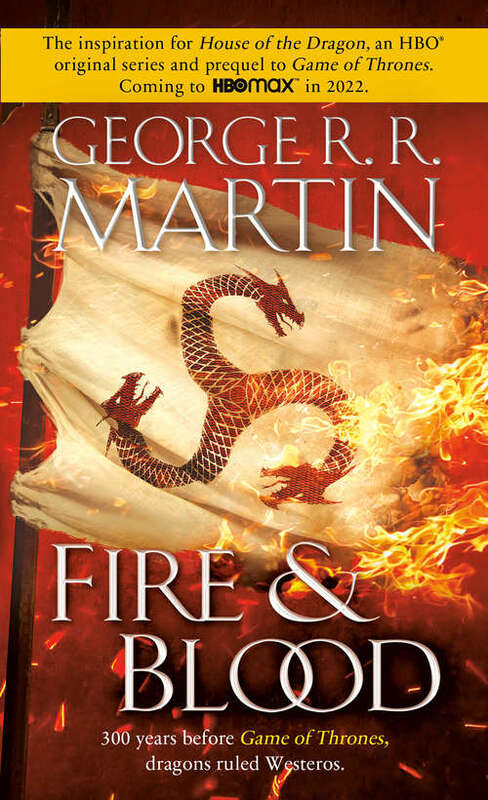 Fire & Blood begins their tale with the legendary Aegon the Conqueror, creator of the Iron Throne, and goes on to recount the generations of Targaryens who fought to hold that iconic seat, all the way up to the civil war that nearly tore their dynasty apart. What really happened during the Dance of the Dragons? Why was it so deadly to visit Valyria after the Doom? What were Maegor the Cruel’s worst crimes? What was it like in Westeros when dragons ruled the skies? These are but a few of the questions answered in this essential chronicle, as related by a learned maester of the Citadel and featuring more than eighty all-new black-and-white illustrations by artist Doug Wheatley. Readers have glimpsed small parts of this narrative in such volumes as The World of Ice & Fire, but now, for the first time, the full tapestry of Targaryen history is revealed. With all the scope and grandeur of Gibbon’s The History of the Decline and Fall of the Roman Empire, Fire & Blood is the the first volume of the definitive two-part history of the Targaryens, giving readers a whole new appreciation for the dynamic, often bloody, and always fascinating history of Westeros.